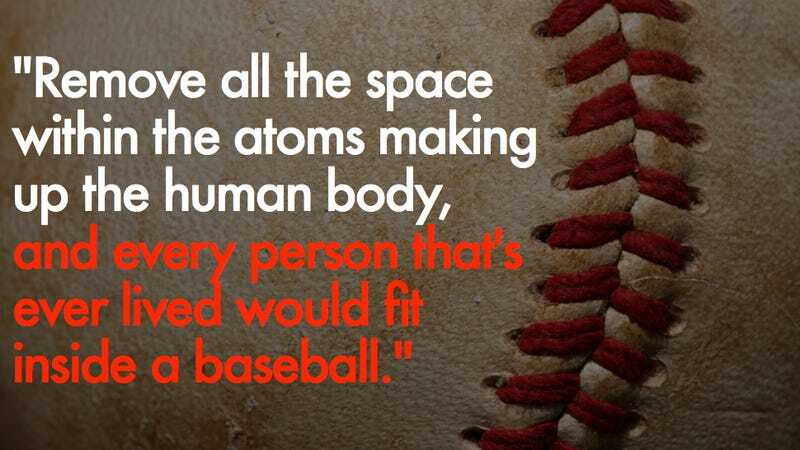 Theoretical physicist Brian Greene – author of The Elegant Universe and co-founder of the World Science Festival – takes a moment out of his undoubtedly busy schedule to remind us how little we amount to once you subtract the space between some of our ittiest bits and pieces. For those who are now feeling small: watch this. It'll make you feel nice and big again.